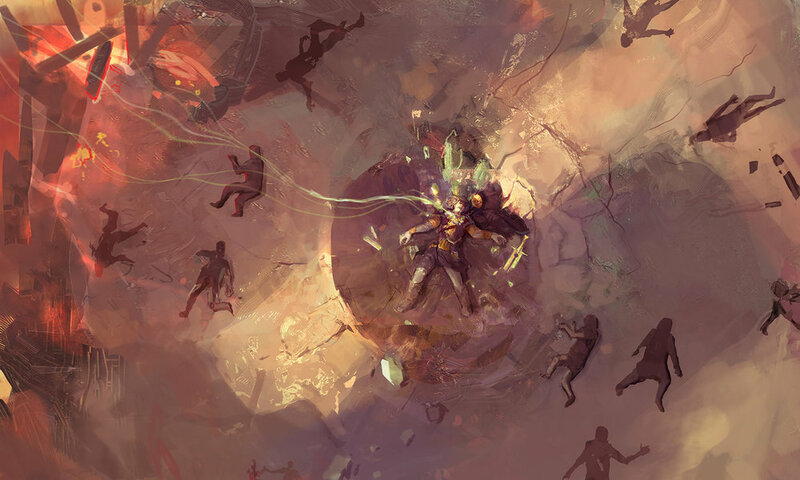 Sixty years before the breakthrough which brought the Champions of Ilvash to the Five, the lands floating above Icaion were a radically different place: the Somber Years having just ended and a period of truce ensued between the two great wars. But the political landscape was greatly influenced by these two epic wars: at this point in time there had emerged two states ruling the lands of Mysthea. King Retudran Ahatils remained preoccupied with his kingdom’s borders, constantly devising ways to prevent or predict potential enemy attacks, while all at once developing strategies and plans for expansion. Being too occupied with the happenings and potential troubles at the front as he was, the King was not interested in managing the lands he had already conquered, viewing governance as a trivial and unimportant task to be delegated. In the King’s heart, he remained more conqueror than ruler. Therefore, he was not often present in Ilvash, the kingdom’s capital, and was even less interested in the happenings of the newly conquered provinces. Administration of the provinces was delegated to the King’s trustworthy ex-military commanders who had showed ability in the field. As a reward for their services, the King would grant them a household name, and the power to manage and rule over certain provinces- granted that the King himself would retain true ownership of the lands. But in time it became clear that the provinces were terribly unruly and unlawful, and the King was interested neither in overseeing nor imposing his will or law. Therefore, each province became autonomous in its own decision making. And moreover, each province developed to be radically different from the next. In the region of Rykalad there was once a powerful and proud kingdom that fought valiantly before losing the war against Ahatils during the Somber Years. This kingdom’s capital, the city of Kyradar, was built over an intensely powerful anomaly which to this day remains active deep below the city. This anomaly amplifies the way in which Qoam resonates, allowing the former citizens of the conquered city to develop peculiar abilities such as the ability to forge objects with rare properties. This kingdom’s heritage was uniquely shaped by the presence of such a strong power. The capital together with its six satellite provinces was once a peaceful kingdom interested solely in scholarly pursuits and the study of Qoam manipulation. Every province, being built around Kyradar, managed one aspect of the Kingdom, defining the lives of the citizens and their daily activities. When King Athalis reached the region of Rykalad, it became clear to him how dependent the city of Kyradar had become on its six provinces. He henceforth decided that the best way to siege the capital would be to first overtake these satellite cities. And after conquering them, he utilized their strategic positioning, slowly making his way toward the capital. The king’s conquest was relentless, wrecking the city with no regard for its very existence as he increased his territory. Each time he would gain a stronger foothold in the city, the inhabitants sheltered themselves in the inner limits until the fateful day that there was no place left for them to retreat. In the process, the city was reduced to ruins, but the King continued on with his conquest. He could restore the city to its former glory after the war ended; there was no need to waste resources now. The war continued on, and Kyradar devolved into wild and uninhabited ruins while the King’s men ruled the region from the surrounding six cities. When the war finally ended, the King had nearly forgotten about Kyradar and forsook the city where it lay in utter ruin. 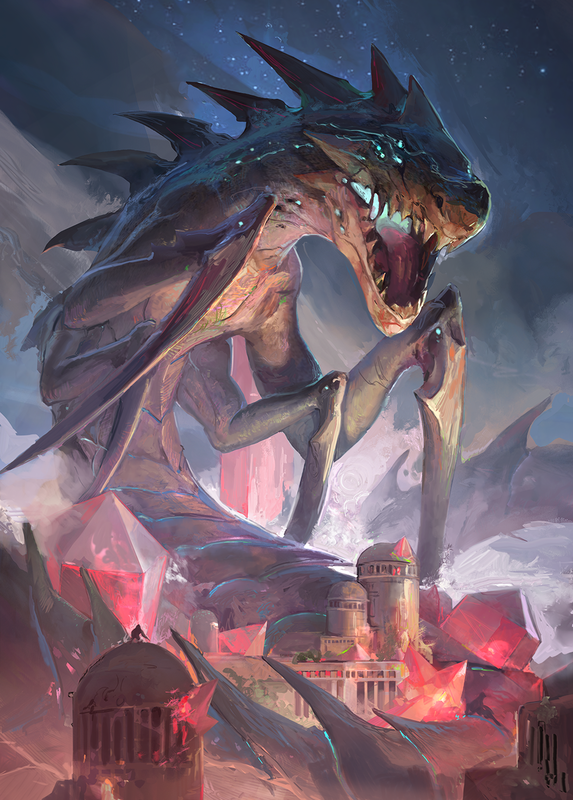 In the end, Volarees won the war, destroying the three cities under the control of the opposing House, forcing them to give up all hope of taming the dragon Volfyirion. After obtaining control of Volfyirion, Weldrint Volarees marched to Ilvash with his men and the dragon, showing off his power and bringing new demands before the King. He wanted to own the lands that he ruled over. He wanted to live in and own part of the city capital from which he could rule the provinces. And he hoped to live off the income generated by these lands. The King was both afraid of retaliation and, at the same time, saw potential for using the dragon in his war, and thus decided to concede something of what Weldrint Volarees asked. The King had already planned to regulate the provinces; he knew it had to be done as he was aware that the provinces could not go on as they were. And so he seized the opportunity to reform them. He refused to give true land ownership, but instead gave the House exclusive and almost irrevocable (with an exception for the case of high treason) rights to: rule, build, and collect taxes over those lands for an indefinite amount of time. To balance Volarees’ new power, he gave the same gift to the ruling military of the other provinces, creating what would become a privileged class of nobility: he would take a cut of all taxes and would not have to actively manage the territories. Because of the need to limit the power of this newly born elite, the King decided to force them to join one guild which would dictate and regulate how they could act. The King wanted to keep strict control, so he decreed how they should rule and what they could and could not do on their lands. The king’s gift of land control was designed to be a privilege which came with many strings attached. Lastly, the King would also elect Weldrint Volarees to lead the guild, renaming it in his name in his honor. He gifted the guild the Garden of the Pure, one of Ilvash’s most ancient districts so they could establish their headquarters. In exchange, the Guild would take careof ruling the lands in subordination to the King’s rule and will. They would be sure to serve the King and always answer his call, never denying him the dragon when asked. This appeared to be a cleverly designed mutually beneficial compromise: the King would have all the provinces administered as he wanted and without risking a takeover, while the noblemen would live a privileged life that required little work. The King, being an intelligent and visionary man, determined shortly after to codify and empower other guilds, making sure that Volarees would not be the only powerful force inside his kingdom.